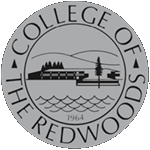 The Facilities Planning Committee develops the Facilities Master Plan for the College of the Redwoods. This plan ensures that capital improvement priorities and projects are recommended based on their contribution to improving student learning outcomes and their alignment with the Strategic and Education Master Plans. The committee also review and ranks resource requests from program review related to facilities. Management Council - Director, Library & Academic Support Svcs. Term of Service is for a minimum of two years.